The last time you must have seen logos, banners or text with some shiny gradient effect. This gradient overlay effect is quite common these days and people really love that effect, it looks good for many types of web elements. The finished layer effect in this tutorial (find more examples below). 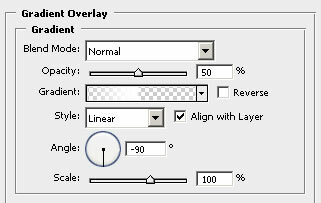 Next double-click text layer to open the layer effects dialog box and continue to the gradient overlay effect. 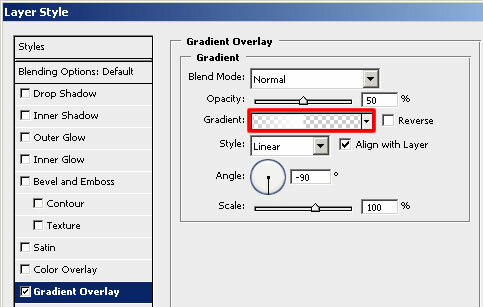 Select a simple two color gradient from the list to have a start and double-click the this gradient to open the gradient editor. Make sure that both color sliders have the color white and click OK. If you’re finished, just click OK and voila the effect is finished. 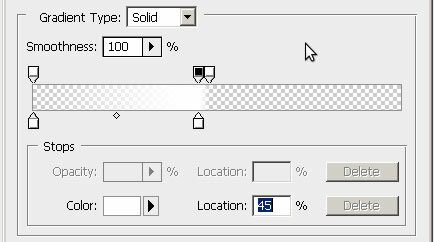 If you want the “Line” on a different place you need to change the possition of the gradient opacity sliders. How smaller the difference between the two “middle” sliders, how “sharper” the result. Want to check the PSD file in your own Photoshop installation? Download the example file here.